Despite the downturned economy, 2012 may be remembered as the year Oakland became a shopping destination. 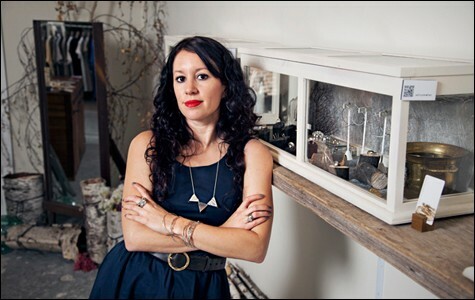 Crown Nine, run by Kate Ellen, is one of several businesses part of Old Oakland's popuphood. When Governor Jerry Brown decided to eliminate redevelopment agencies statewide, it appeared to crush Oakland's dream of turning the Broadway-Valdez Triangle into a large outdoor mall (see "Death of a Retail Plan, 2/15/12). But it appears the people have taken matters into their own hands. 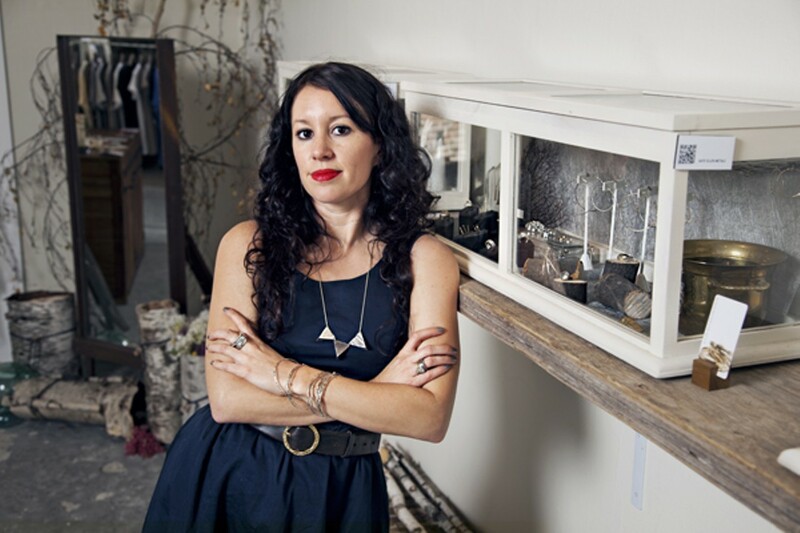 In the past year, there's been a quiet explosion of new boutiques in Oakland. These small, independently owned stores have given a much-needed retail boost to a city that leaks $1 billion a year to neighboring cities with better shopping options. Starting at the end of 2011, we've seen the opening of the cluster of stores in Old Oakland's popuphood — including Crown Nine, Marion & Rose's Workshop, Piper and John General Goods, and Umami Mart — plus the arrival of OwlNWood, Oakland Surf Club, Oak Common, Show & Tell, and Resurrect, not to mention the numerous businesses in Temescal Alley, which keep coming (like Standard & Strange). That adds to relative newcomers like Halmoni Vintage, Mercy Vintage, Good Stock, The Rare Bird, and others. In other words, there's finally a palpable sense of momentum in Oakland's retail sector, and it's all happening on a very organic level. "I believe there's a renaissance happening — everyone can feel it," said Rachel Konte, who opened OwlNWood on West Grand Avenue in August. Although these stores largely opened independently of each other, there's a common theme tying many of them together: community mindedness, a genuine love of Oakland, and the desire to support sustainably, locally, and US-made products. These aren't the kind of cookie-cutter stores that carry all the same labels that you'll find in San Francisco. Some of these boutiques function as arts boosters, too (Oakland Surf Club has an upstairs gallery). They also have a heightened sense of design and style that's been sorely lacking in the East Bay. Forget frumpy wear: The East Bay is ready to step out in (sustainable) style. So why now? And why Oakland? "There's not a lot of clothing stores in Oakland," said Ari Serrano-Embree, explaining why she opened Oakland Surf Club in July with her husband, Max Klineman. The store, located on 14th Street in downtown, carries a mix of men's and women's clothing and accessories, with a focus on skate and surf culture. "I grew up in Oakland, so I wanted to be here as opposed to the City," she continued. Konte expressed a similar sentiment: "This is where I live. I was always so confused why downtown was so empty." "People need cool things," said Alfonso Dominguez, who co-founded popuphood with Sarah Filley, and who also runs the Old Oakland restaurant Tamarindo Antojeria Mexicana with his mother. "There are plenty of cool exciting people here, and they don't need to spend their money somewhere else." Of course, as Dominguez noted, boutiques have popped up in Oakland before, but many didn't survive — including his own, Drift Denim. "When the real estate bust happened, they all closed down," he said. But in many ways, the downturned economy is helping to spawn this influx of new retail. After all, popuphood started in response to the many empty storefronts in Old Oakland. The idea was to populate them with carefully chosen, locally owned retail stores to not only reinvigorate the neighborhood, but also create a more sustainable local economy. "That's what makes cities thrive, is that money stays in the community," said Dominguez. "That's what retail does." Dominguez and Filley, using some money from Oakland's redevelopment agency (when it was still available), convinced landlords to give businesses six months of free rent in order to give them time to get established. By all measures, the experiment has been a success. Today, Dominguez says the majority of the businesses are negotiating leases with their landlords. "Even if one or two sign a lease, it's a success," he said. Similarly, it wasn't until Konte was laid off from her job at Levi's in 2009 that she decided to pursue her longtime dream of having her own store. But it took her three years to bring her idea to fruition. "It was more difficult than I thought," she said, noting that she looked at locations in San Francisco and Berkeley before deciding on her Oakland spot. OwlNWood mixes Scandinavian brands (Konte is from Denmark) with locally designed products and vintage items for men and women. "I have a lot of local designers here," she said on a recent afternoon in the office space overlooking her store. "Many are friends from the industry who lost their jobs." Since she's opened her doors, Konte said a steady stream of craftspeople come by to try and get her to carry their products. "It has its own life," she said about her store. Most importantly, however, these boutiques are attracting not only artists and designers but actual customers, too. All the business owners interviewed for this story reported that sales were better than they expected. Neil Barrett and Jeremy Smith, co-owners of Standard & Strange, which opened in Temescal Alley in September, said they have customers coming from San Francisco for their hard-to-find items. Initially, they opened the tiny men's boutique, which specializes in US-made clothing from small labels, as a combination of retail and office space for their brand of cycling wear, Cedar Cycling. But the reception has been strong. "The store has taken off — it more than pays for itself," said Smith. "There's a lot demand for American-made stuff." The focus on locally or US-made products has a two-fold purpose, it turns out. Not only does it support independent designers and, thus, the local economy, but it also allows storeowners to keep low inventory. "It makes it easier to manage cash flow," said Smith. And Klineman noted that if there's a problem with his store's inventory, the issue can usually be resolved much more quickly than it can with large companies. Already, these new business owners are expanding their sights. Serrano-Embree said she'd like to open a women's-only shop one day. Due to demand, Berrett and Smith are looking to expand their inventory. And Dominguez says popuphood is currently working with KONO, the Koreatown-Northgate Business Improvement District, to bring a version of popuphood to that neighborhood. He hopes to one day open a popup boutique hotel, to attract more visitors to the city. However, all that may hinge on whether this latest round of boutiques can survive. Certainly, there is a level of excitement in Oakland that only seems to be increasing. And, as evidenced by the annual retail leakage, demand isn't a problem. Ultimately, it may be an issue of changing people's shopping habits.